Blackjack is one of the few casino games where both skill and luck can be put to test. The rules of the table game are simple to comprehend, and players can develop a number of strategies that can be deployed during the gameplay to have an added advantage. Thanks to the rise of the mobile casinos, this casino game can be now played on the move without any compromise in the quality. The thrill and excitement which a player could get in a blackjack game by competing against trained dealers and acing the game are unparalleled and cannot be attained in most of the casino games. Blackjack, when played at a well-established casino, can deliver a great gaming experience. The fanbase of this casino game has been increasing since its introduction. With online casinos, the reach and the features of this classic game have attained unprecedented levels. Blackjack remains the most favourite table games in the casinos that are land-based and online casinos. The reason being it can be something that beginner try their hands on or it can be for professional players who want to beat the system. Not to mention the mystery of card counting and other techniques which can supposedly beat the system. Online Blackjack is nothing less entertaining. The different varieties that have evolved after the success of online casinos have the players at the edge of their seats. The online Blackjack is more enticing in the way that you don’t need to move out your comfort zone to play online Blackjack. Live Casinos are a way of experiencing the glitz and glam of a real casino at the comfort of your own home by streaming live from studios or casinos. This is as close as it gets to a real casino experience online. Not only do they offer live Blackjack, live casinos also offer multiple variants of online Blackjack too. There are quite a few theories around the origin of Blackjack. Some say that the first mention of Blackjack is in Don Quixote about a game called ventiuna. Ventiuna in Spanish means 21. Don Quixote was written in the 16th century. This was played on a deck where the 8’s, 9’s and 10’s were removed. Another origin theory talks about a game called Vingt et un which was played in the French casinos in the 17th century. Vingt et un means 21 in French. The rules for Vingt et un were different from the ones that we play today. Italian card game seven-and-a-half and Spanish game one-thirty also bear resemblance to the Blackjack that we see today. Blackjack went through a myriad of changes through the years until James McDermott, Herbert Maisel, Roger Baldwin and Wilbert Cantey dubbed as the “Four Horsemen of Aberdeen” developed the basic playing strategy. Notable personalities related to the game include Dr. Edward O. Thorp who developed the infamous card counting system. Blackjack The strongest hand possible comprising of Ace and a 10-value card which might be a king or a queen or a jack or 10. Card Counting A strategy where the cards dealt are counted to make a winning move. This gives the player advantage over the house. Hole Card The card which is dealt face down to the dealer. It is also called face down. Stand When the player doesn’t want any more cards, it’s called a stand. Bust If the total value of the cards exceeds 21, the player or the dealer goes bust. If the player busts, they lose the bet. If the dealer busts, the players are paid out on the condition that they aren’t bust themselves. Hit Hit is when a player asks for another card. Surrender The player has the option to surrender half of his bet when he realizes he cannot beat the dealer. Split When a player has two cards if the same denomination, he has the option to split the hand into two hands. Hard Hand The hand where the ace is counted as 1 instead of an 11 is called a Hard hand. Soft Hand The hand where the ace is counted as an 11 is called a Soft hand. Natural When the two cards dealt for the player equals 21, it is called a natural. Pat Hand A pat hand is one in which the total of the cards is more than 17 and less 21. Standoff/Push When a player and a dealer have the same hand value it is called a push. The bet is then returned to the player. How to Play Blackjack Online? The thumb rule in an online Blackjack game is, the player’s or the dealer’s hands should be equal to or as close as possible to 21. To win, the player’s hand should be better than the dealer’s hands. Sounds simple! Isn’t it? But it isn’t as simple as it sounds. The game is a mix of strategy, luck and risks which makes it one of the most popular casino table games online or offline. How to Begin Playing Online Blackjack Game? Online Blackjack is played between the player and the dealer. However, the table can have multiple players. Each player will be competing against the dealer, one on one. The deck used is a standard 52 card deck. Depending on the number of players, there might be 1 to 8 decks used. The online Blackjack game starts with each player in the game placing a bet. The dealer then deals cards for himself and the players. Two cards dealt for the player which are face up and two cards are dealt for the dealer in which one is face up and one face down. How to Score at Blackjack 21 Online? Each card in online Blackjack is worth different points. The numbered cards from 2 to 10 are worth the number printed on the card. The face cards (K, Q, J) are equal to 10 points. The value of the Ace differs depending on the total value of the cards. If the total value of the cards goes above 21, the Ace is valued as 1. This is a hard hand. If the total value of the cards is less than 21, the value of the Ace is 11, in which case it is called as a soft hand. The difference between the soft hand and the hard hand being, in a soft hand with the addition of another card, if the total value exceeds 21, the value of the Ace reduces to 1, avoiding a bust. If the player is dealt cards which totals to 21 i.e., an Ace and face/10 card, he/she then holds a Blackjack. In this case irrespective of the dealer’s hand, the player wins, and the player is paid 3:2 usually. Here, if the dealer holds a Blackjack, the players at the table lose unless a player holds a Blackjack in which case the hand is tied. Once all the players have completed the action on their hands, the dealer reveals his second card. If the total card value is 16 or less, the dealer hits as the rules of the casino dictates or until the total card value exceeds 17. Once the total card value is equal to or greater than 17, the dealer stands. If at some point the dealer’s total card value exceeds 21, then the dealer is bust and all the players at the table win even money on their bet. Online Blackjack is one of the most played casino games. It has many variations as famous if not more famous than the classic. Considering all this, the side bets will be much larger in number. A few of the side bets have been listed and explained for you. You can find many bets which feature the 7’s card in online Blackjack side bets. Here in this bet, the player wagers that the first card dealt will be a 7 which pays off 3:1. The player can also wager if the first and second cards are 7’s and this pays off 50:1. If the first two cards dealt is a suited King and Queen, it is a Royal Match and pays generously between 93% and 97%. The player places this bet before the cards are dealt. The player wagers that the total card value would be under 13, over 13 or just 13. When counting for this bet, the Ace values at 1. The exactly 13 side bet pays at 10:1 odds. The bet pays if the total card value of the first two cards equals 16 or more. The payout odds are 1:1. Also if one of the cards is an Ace it pays 1:1 and if both are Aces, it pays 2:1. The bet is placed wagering that either the player or the dealer holds a Blackjack. Also, there is a progressive bonus on the line if the Blackjack consists of an Ace and Jack of Spades. This bet involves getting certain card combination which totals to 21 like 777, 786 and so. Play Online Lucky Lucky Blackjack at Monster Casino. If the combination of the player’s two cards and the dealer’s face card, is a straight, a flush, a straight flush or a three of a kind then the side bet is won. There is a type of online Blackjack game called 21+3 Blackjack at Monster Casino. Few other side bets, you can find across the online Blackjack variations are Bonanza Blackjack, Jack Magic Side Bet, Hi/Low Side Bet, Lucky Lucky Side Bet, Dare Any Pairs Side Bet and Match the dealer Side Bet. If you go through all the variations, you can find a lot more interesting and strange side bets that make the game more interesting. The payouts are not fixed and differ from casino to casino and on how much you bet and how you beat the dealer. Few bets and their payouts are listed to give you some idea what you can expect. All the casinos have a house edge/house advantage in all their casino games. This is done to ensure the casino stays in business and also for them to pay their bills. They do have that you know? House edge is the portion of the bet that a player places which the casino keeps to themselves. The more strategic the game is, lesser the house edge. Table games like online Blackjack will have low house edge while online slots will have a slightly higher house edge. The reason being the assumption that a portion of the players will be new to the game and stand to lose money. Blackjack is one of the classic card games that has been around for a few centuries at least. But not without players improvising on it and making it more interesting. There are a few rule changes, few bets added but they are nevertheless interesting, warranting their inclusion in online casinos. The basics remain the same and a few hands into the game, you will be a pro at playing the variation. There quite a lot of variations in online Blackjack but the famous and the player preferred variations are explained here. 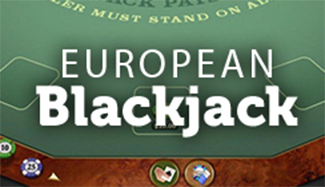 European Blackjack is just that because the variation is often played in Europe. There are very little rule changes but no additional bets or side bets. 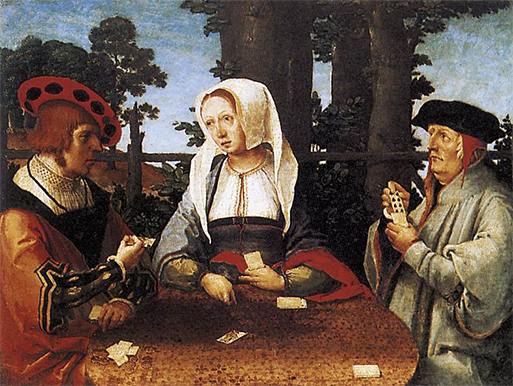 The dealer draws the second card only after the player is finished with his actions for his hand. The players can only split once in a hand. He/she can double down only after a split. Or he can also double if he has a card with a face value of 9, 10 or an 11. In this game, if the dealer gets a Blackjack he wins by default. 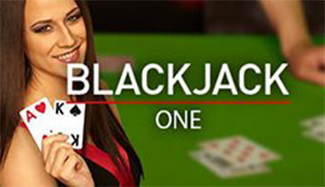 Blackjack One is a live version of the classic online Blackjack game with a side bet feature. The aim of the game is same as that of a traditional online Blackjack with the players getting as close to 21 as possible. The side bet available for the players is Perfect Pairs and 21+3. Blackjack Silver is a variant of European Blackjack and features the side bets, 21+3 and Perfect Pairs. The basic rule of the game is the same as that with the players creating a hand with a total value of 21 or close to 21. The perfect pairs offer a payout of 6:1 or 12:1 or 25:1 if the player wins the side bet. The 21+3 pays the player anywhere between 5:1 to 100:1. Spanish 21 is the famous one of the online Blackjack variations. The game pays better than the traditional Blackjack. It is played with a Spanish Deck which has the 10’s removed. You still have the face cards which has 10 points. Even though it reduces the chance of getting a natural, it pays back to the player generously. The player also has the option to double after a split or a hit. They are allowed to split up to 4 times. The player’s 21 and a natural will always trump over a dealer’s Blackjack. 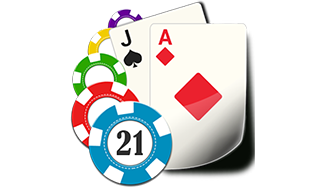 The player also has the option to surrender against a dealer except if the dealer has a Blackjack or a game of 21. Apart from this you also have two side bets Super Bonus Bet which pays off when the player has three 7 cards and the dealer’s face up is also a 7 card; the other bet is paid off when the player’s hands are better than the dealer’s hands. In the latter bet, the payoff could be 40:1. 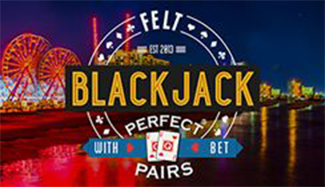 Perfect Pairs Blackjack is very similar to the classic online Blackjack. The gameplay is same as that of an online Blackjack with the addition of a side bet. The side bet amount is the same as that of the original Blackjack. When the player is dealt a Pair, he/she wins the bet. Having said that, the payout depends on the pair you are dealt with. A “Perfect Pair” is defined as a pair of the same suit and it pays 30:1. If the player has a pair of jacks of different suits but same colour the payout is 10:1. But if the player lands a pair of jacks of different suits and colours, the payout will be 5:1. The house edge is very high for this version with it being 6%. If you skip the side bet, Perfect Pairs is just a regular online Blackjack. There are cases where the Spanish 21 is referred to as Pontoon. An Australian version of Spanish 21 also exists in land-based casinos. 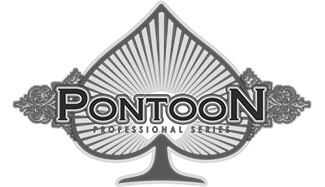 But ideally, Pontoon is a variation of online Blackjack that originated in the UK. While the base rule of 21 is the same as in online Blackjack, there are many additional rules to it. The Blackjack terminologies are different when it comes to Pontoon. Hit in Blackjack is referred to as Twist in Pontoon, Stand is Stick, Double Down is Buy and Blackjack is Pontoon. A natural or a 21 is paid 2:1. The player loses his only advantage of looking at the dealer’s cards since both the cards are dealt face down. The player gets to finish all his actions on his cards before the dealers reveal the cards. The players 21 always beats the dealer’s even when the dealer has a natural. But the player loses if his/her hands are tied with the dealers. The player also wins, if he goes up to 5 cards without busting and the payout will be 2:1. The player’s hands can only be split two times making it three hands. .
Live Blackjack has become player’s favourite slowly as it gives them an experience close to that of a brick and mortar casino. It gives the player the benefit of watching the dealers shuffle the cards and deal them. It also allows the players to interact with the dealer while awaiting their turn. Software providers like Evolution Gaming and Extreme live gaming provide the software for the live casinos. They come with an interactive screen through which the player places the bet and takes action on the cards. The major advantage is that you can play on the go on your iPhone, iPad, Android Phone or Tab. You don’t have to download any software and enjoy a seamless play 24/7. Online Blackjack is an addictive game to play. But it’s just a source of entertainment you should treat it as such. Play with the money you can afford, and don’t gamble with your rent money or the money for your necessities.